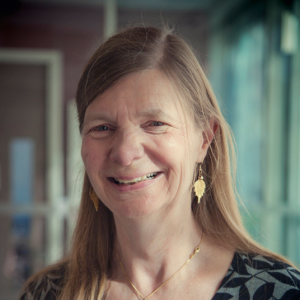 Elspeth Garman is Professor of Molecular Biophysics at Oxford University. She started her working life aged 18 as a volunteer teacher in Swaziland, Southern Africa. Following a degree in Physics at Durham University, she did research for a D.Phil (PhD) in Experimental Nuclear Structure Physics at Oxford. After 7 years in Oxford as a Nuclear Physics Research Officer and Physics Tutor at various different Colleges in the University, she changed fields completely to protein crystallography, and now lectures undergraduates and has a research group based in the Oxford Biochemistry Department. Her main research interests are in improving methods for finding the three-dimensional shapes of medically important biological molecules so that larger and more complicated structures can be determined, and disease pathways can be understood at the molecular level. She is a well known communicator of science, has been interviewed on the Radio 4 program ‘The Life Scientific’ and was the recipient of the 2016 American Crystallographic Association’s Fankuchen Prize, awarded in recognition of her original contributions to scientific research and her worldwide postgraduate teaching. 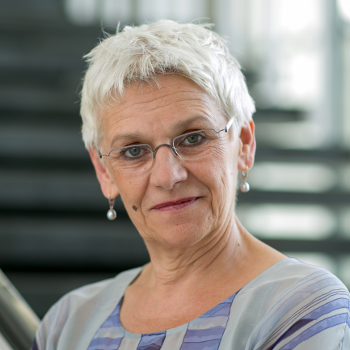 Elvira Scheich is professor for history and philosophy of physics with a special focus on gender research at the Department of Physics at Freie Universität Berlin. She has a broad research portfolio on gender research for the natural sciences. The spectrum of her work ranges from studies on gender relations in physics, the historical impact of gender orders on experimental and theoretical paradigms in science, to questions of gender politics within the social-material context of environmental issues. In 2012-2015 she was co-ordinating project leader in the joint project “genderDynamics – Disciplinary Cultures and Research Organizations in Physics” funded by the BMBF. Elvira Scheich studied physics and political science at the Johann Wolfgang Goethe-Universität in Frankfurt/Main. After her diploma in physics she decided to continue with a research project in gender and science studies, for which obtained her PhD in political science. She was a teacher and researcher at TU Berlin, worked within the Expert Group for Social Ecology in Hessen and at the Hamburg Institute for Social Research. She held several guest professorships in Germany and abroad, where she was able to combine a gender-oriented science research with its implementation into scientific contexts. Since fall 2016, she continues this particular line of work as coordinating project leader of the Strategic Partnership “Diversity in the Cultures of Physics” in the EU’s Erasmus + program. Christa Schleper is Professor of Microbiology and Genetics with special interest in the Ecology and Evolution of Archaea and in Metagenomics. Since 2007 she is Head of the Archaea Biology Division at the University of Vienna and vice Head of the Department of Ecogenomics and Systems Biology. She is an elected member of the American Academy of Microbiology and a corresponding member of the Austrian Academy of Sciences, She was main coordinator of several international and national research projects and in 2016 she obtained a 2.5 Mio ERC advanced grant from the European Research Council. Christa Schleper studied languages and microbiology at the Universities of Aachen and Konstanz. For her PhD she worked at the Max-Planck-Institute for Biochemistry in Munich-Martinsried. She spent 3 years as a postdoc at the Californian Institute of Technology and the University of Sta Barbara, USA, before she returned to the Darmstadt Technical University in Germany to start her own research group and complete her habilitation. From 2003 to 2007 she was full professor in Microbiology in Bergen, Norway. She rejected offers from the ETH Zurich and the Technical University of Munich to accept a professorship at the University of Vienna in 2007. Christa Schleper has been regularly involved in mentoring programs for young female scientists in Darmstadt and Vienna. She has two daughters. 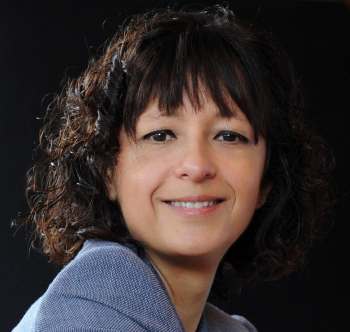 Emmanuelle Charpentier is recognized as a world-leading expert in regulatory mechanisms underlying processes of infection and immunity in bacterial pathogens. With her recent groundbreaking findings in the field of RNA-mediated regulation based on the CRISPR-Cas9 system, E. Charpentier has laid the foundation for the development of a novel, highly versatile and specific genome editing technology that is revolutionizing life sciences research and could open up whole new opportunities in biomedical gene therapies. For this research, E. Charpentier has been awarded a number of prestigious honors. E. Charpentier studied biochemistry, microbiology and genetics at the University Pierre and Marie Curie, Paris, France and obtained her PhD in Microbiology for her research performed at the Pasteur Institute. She then continued her work in the United States, at The Rockefeller University, New York University Langone Medical Center and the Skirball Institute of Biomolecular Medicine (all in New York, NY) and at St Jude Children’s Research Hospital (in Memphis, TN). E. Charpentier returned to Europe to establish her own research group as Assistant and Associate Professor at the Max F. Perutz Laboratories of the University of Vienna in Austria where she habilitated in the field of Microbiology. She was then appointed Associate Professor at the Laboratory for Molecular Infection Medicine Sweden (MIMS, part of Nordic European Molecular Biology Laboratory (EMBL) Partnership for Molecular Medicine) at Umeå University in Sweden where she habilitated in the field of Medical Microbiology and is still active as a Visiting Professor. Between 2013 and 2015, E. Charpentier was Head of the Department of Regulation in Infection Biology at the Helmholtz Centre for Infection Research, Braunschweig, and Professor at the Medical School of Hannover in Germany. In 2013, she was awarded an Alexander von Humboldt Professorship, which she has held since 2014. In 2015, E. Charpentier was appointed Scientific Member of the Max Planck Society in Germany and Director at the Max Planck Institute for Infection Biology in Berlin, Germany. 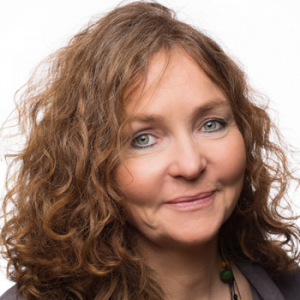 Since 2016, E. Charpentier is Honorary Professor at Humboldt University.